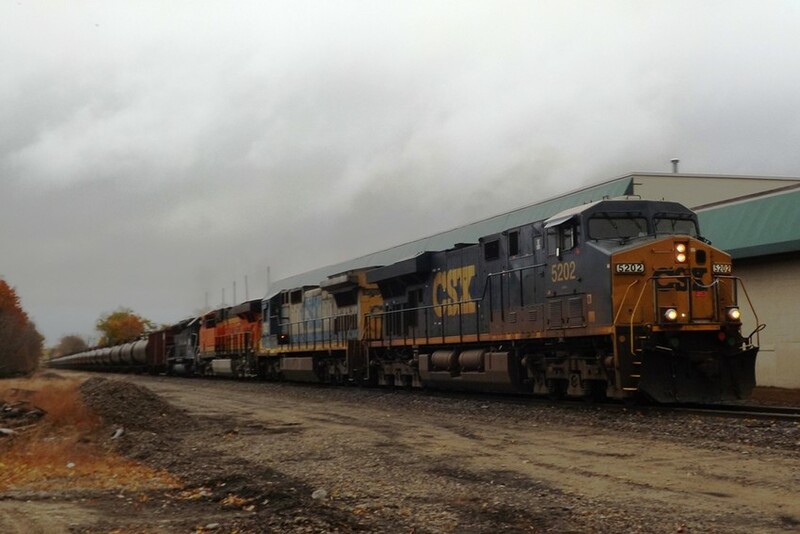 CSX ES44DC #5202 leads a Loaded Oil Train thru Read Street @ Deering Junction in Portland, ME on 10-29-12. The dark clouds are the outer bands of Hurricane Sandy. Photographed by Asa T Worcester, October 29, 2012. Added to the photo archive by Asa Worcester, October 29, 2012.